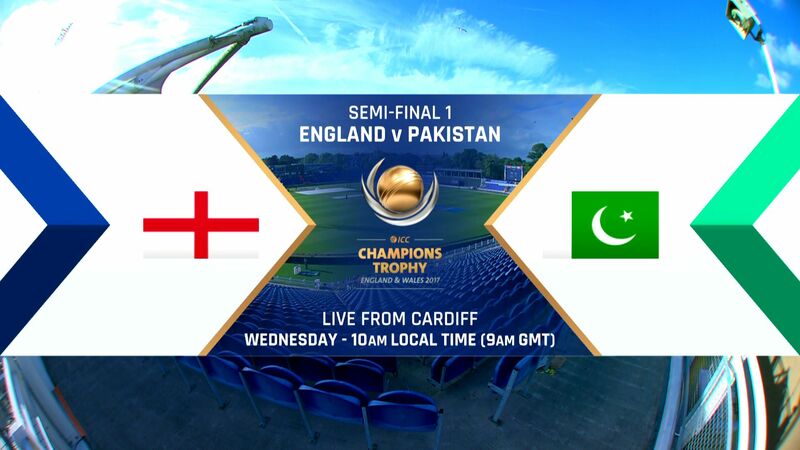 Pakistan captain Sarfraz Ahmed hopes the team’s “high confidence” in Cardiff will stand them in good stead when they return to the Welsh capital to face England in a Champions Trophy semi-final on Wednesday. It will be Pakistan’s second key match at Sophia Gardens in a matter of days after a tense three-wicket victory over Sri Lanka there on Monday saw them into the last four of a tournament featuring the world’s top eight one-day international (ODI) sides. Pakistan, chasing a seemingly modest 237 for victory, were on the brink of defeat at 137 for six. But Sarfraz made Sri Lanka pay for dropping him twice with a superb 61 not out and received excellent support from Mohammad Amir (28 not out) in a decisive and unbroken eighth-wicket stand of 75. It was Sarfraz’s second impressive innings at Cardiff after the wicket-keeper’s 90 on the same ground last year saw Pakistan chase down a target of 303 against England in a four-wicket win that prevented a 5-0 ODI series whitewash. “We played the last ODI here. We won that time, we chased 300, so definitely our confidence is very high playing in Cardiff,” Sarfraz told reporters after Monday’s nailbiting triumph. England, however, have arguably improved their white-ball game even more since that series. They’ve won 11 of their last 12 matches at this level, a far cry from their woeful first-round exit at the 2015 World Cup, and Eoin Morgan’s men were the only side to exit the group stage of the Champions Trophy with a perfect played three, won three, record. 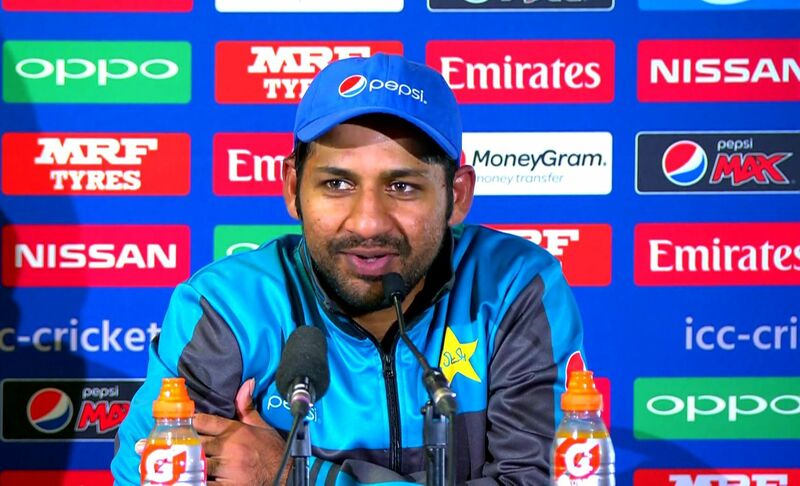 “England is a very good team, a very, very good team,” said Sarfraz of the tournament hosts. “If you are playing a world-class team, definitely, you play more positive cricket, so we will do so against England,” he added. But Sri Lanka might well have won had they dismissed Sarfraz, with Thisara Perera guilty of dropping a simple catch at mid-on when he had made 38. “If we had held those catches, it would have been a different story,” said Sri Lanka captain Angelo Mathews. Pakistan certainly made far harder work than they ought to have done of getting to the knockout stage in a winner-takes-all clash given they held Sri Lanka to 236 all out, with pacemen Junaid Khan (three for 40) and Hasan Ali (three for 43) doing the bulk of the damage. “I think it’s a great win today, and credit goes to the bowlers, who bowled really well at a crucial time,” said Sarfraz. A two-day turnaround does not leave much time to address such issues but, then again, Pakistan only needed three days to bounce back from a 124-run thrashing by arch-rivals and title-holders India in their tournament opener before defeating top-ranked South Africa. If Pakistan have middle-order concerns, the big decision facing England is whether to drop opener Jason Roy, whose latest low score against Australia means he has now managed just 51 runs in eight ODI innings this season. Morgan, previously unstinting in his praise of Surrey batsman Roy, was not quite so effusive after a win at Edgbaston on Sunday where England slumped to 35 for three before their captain’s 87 and Ben Stokes’s 102 not out bailed them out, with the duo sharing a stand of 159. “It’s unfortunate that Jason didn’t get runs,” said Morgan. “We revisit it every game, everybody’s position, whether it can be changed around, can we do anything better?” England do have the in-form Jonny Bairstow waiting in the wings. Although he has never opened in ODIs, Bairstow did make 174 at the top of the order for Yorkshire against Durham in a domestic 50-over match this season.